In Tripura, where the situation is on the boil – three cases of mob lynching after locals went berserk over rumours that child-lifters were on the prowl – is already giving sleepless nights to the cops and keeping them on their toes. A NewsBytes report stated that as if all this is not enough, the Education and Law Minister of the State, Ratan Lal Nath, endorsing locals’ claim that kidneys were indeed stolen from a child (read who was found killed in West Tripura on June 26 last), has further compounded the problems of the police. Though Nath came under severe criticism for making such an “irresponsible” statement, with the Opposition baying for his blood, the Minister showed no “remorse” and instead justified his statement on Sunday. Already, tempers were running high over the death of a local minor boy and the Minister’s statement that “the kidney was taken out of the boy’s body after making a round cut” has further added fuel to the fire. 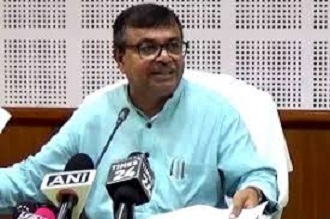 Nath, after visiting the boy’s family, also said, “Never had Tripura witnessed such an incident” and that the incident was connected to “kidney smugglers” with probable “international” links. It may be recalled that 11-year-old minor boy, Purna Biswas, son of a daily wager, was found killed in the Tulabagan area of West Tripura district on June 26 last. Wounds were spotted on the body of the boy. Once the incident came to light, news spread like wild fire on the social media that the boy’s kidney and other vital organs were illegally removed causing much panic among the people. Though the Tripura Chief Minister, Biplab Deb, “rubbished” social media reports of illegal harvesting of the kidneys and other vital organs of the minor and in this regard he informed the Assembly formally citing the autopsy report prepared by a medical board. To counter the damage done by social media, the Chief Minister also said there was “no facility for kidney or liver transplant in the entire State or even in the adjacent districts of Bangladesh”. But, by that time, Nath had already done the damage – a video of the Minister speaking about the child lifters and an ‘international hand’ in the ‘smuggling’ had already been widely circulated. The Tripura Police are almost at the end of their tethers – first at Murabari in West Tripura – three hawkers from Bihar and UP were beaten up suspecting them to be child lifters and one of them was lynched to death, then a man hired to spread awareness against rumour-mongering and an unidentified woman was also lynched to death. To limit cases of mob lynching, the police are trying to do its best. They have started interacting with the local people both from the urban and rural areas to advise them against believing in “baseless rumours”. They believe that the extensive outreach programme will help and the suspension of Internet services has helped too.